Having both high schools named after successful individuals in the automotive industry, isn’t Waterford’s only connection to the big 3. 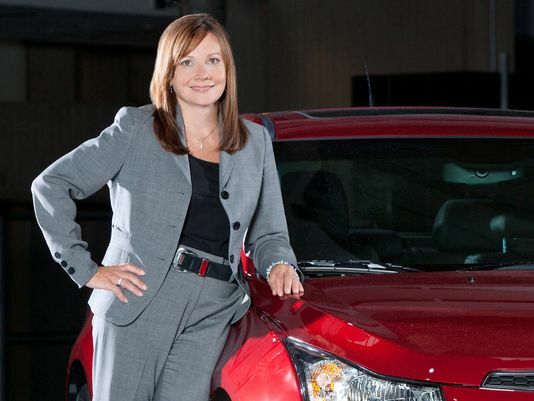 The current CEO of General Motors, Mary Barra, is a graduate from Waterford Mott High School. After Graduating from Waterford Mott, she enrolled a General Motors Institute, which is now called Kettering University, and worked as a co-op student in the Pontiac Motor Division in 1980. She later earned her MBA from Stanford University. From there, she worked her way up in the company and has worked for numerous departments including Engineering, Human Resources, and Plant Management (Bomey, 2013). Her accomplishments and successes at one of the largest companies in the world says enough as to why she should be recognized. With the recalls that have occurred throughout the past year, she became CEO at an interesting time in the company’s history. Hopefully everything is handled smoothly as she continues to make Waterford proud. Another Waterford native worth mentioning is former Detroit Tiger, and Michigan State Spartan, Kirk Gibson. 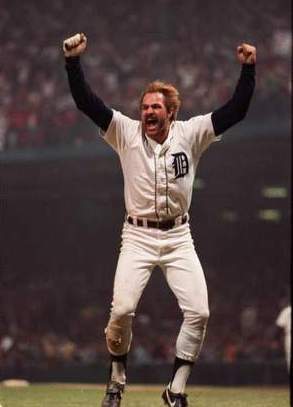 For those who are unfamiliar with Tigers baseball, Gibson hit a home run in the 1984 World Series. The home run would give the tigers the lead, they would go onto win the game, and the World Series. Kirk Gibson grew up in Waterford Michigan where he attended Waterford Kettering High School where he played football, basketball, baseball, and ran track. Football however was his favorite sport growing up. He was lightly recruited by colleges, so when Michigan State offered him a scholarship, he jumped on it. He would ultimately start at receiver his freshmen year and would continue to have success. In his sophomore season, Gibson had 39 receptions for 748 yards, which led all Big Ten Receivers that year. In his junior year at Michigan State, he was asked by Michigan State’s baseball coach to play baseball as well, and he decided to do so. In his only season playing college baseball, he batted .390, hit 16 home runs, batted in 52 runs, and stole 21 bases. He also set the school records for home runs and RBI’s. After that season, he was drafted by the Tigers in the first round, and decided not to attend classes his senior year at Michigan State (SABR, 2014). Kirk Gibson is one of the greatest athletes from Michigan and definitely the most well known athlete to come out of Waterford. For those reasons, he deserves recognition in Waterford’s history.